Oh, OK, there’s no real way of justifying my purchase, especially as I’m on a self-imposed spending ban (so far, so good) but I’m going to go through my cupboards this weekend and put lots of things on eBay. A purge, if you will. Anyway, in an effort to tempt you into my own evil habits I’m going to link to the Anya Hindmarch page on the Outnet – sorry, but there are some choice little bags on there today! 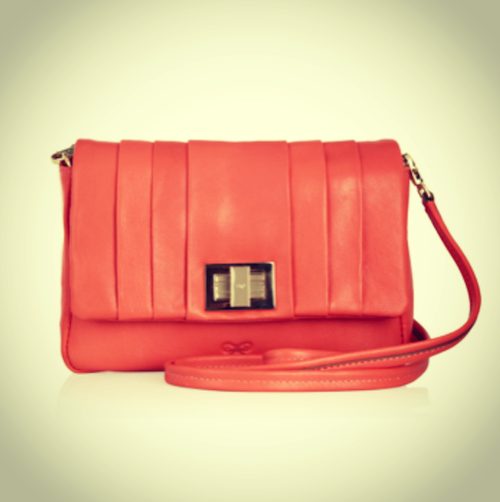 I can’t imagine for long as lots of them are absolutely gorgeous, but tell me what you think… I went for the Gracie bag in coral – they also have it in white, and I love it, but it’s totally impractical. Or is it?